Can’t travel to NAESP in Long Beach? Watch for a Periscope link via Twitter to join us virtually! 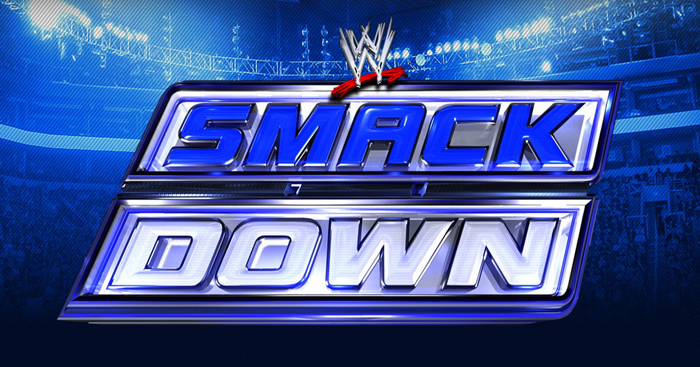 I Love to Read SMACKDOWN! There has been a lot of buzz about the ConnectED BINGO game that started this month. In fact, we’re so pumped to be reading and connecting that we are issuing a Reading Smackdown for educators. That’s right…and it’s all for the love of literacy!! Create a short video clip of your favorite line from a book and post it to Vine. Be creative and be sure to add the hashtag #StuConnect to your post. We can’t wait to see how educators walk the walk during “I Love to Read” month. Special thanks to Chris Lehman for contributing this mini-challenge to the BINGO board. Tag at least three more educators via Twitter or in a blog post and challenge them to join the #ReadingSmackDown too. Don’t forget to use the #StuConnect hashtag when posting your video on Vine. I’m tagging my friends Tony Sinanis, John Fritzky, Amy Fadeji, Theresa Stager, Spike Cook, Adam Welcome & Mark French. Good luck! We have an obligation to our students to invest in digital connections. They are counting on relevance and our connectivity as educators will facilitate the systemic transformation that’s of critical importance. Isolation in education is a choice and it is NOT best for kids. This past week I spent several hours replacing a section of lights on our family’s Christmas tree. 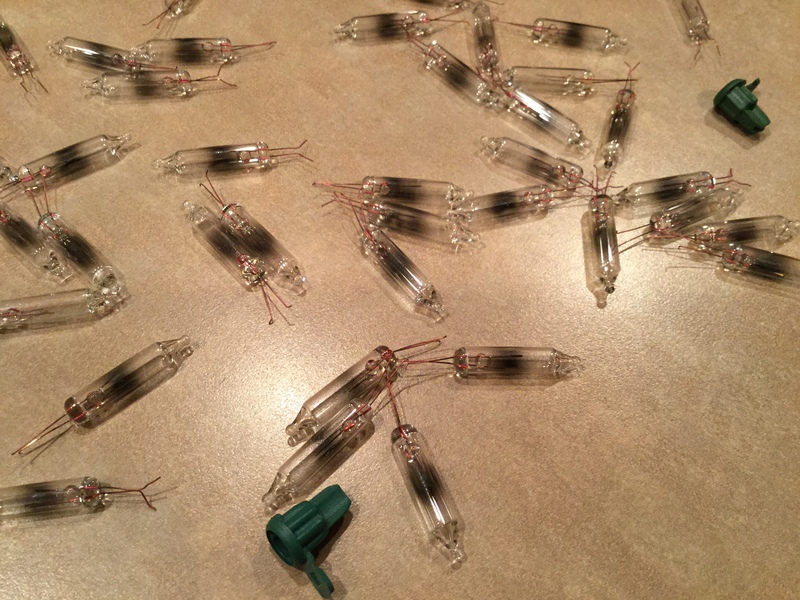 Each burned out bulb required removal and some intricate rewiring…which necessitated a lot of searching amidst the artificial branches laden with clusters of needles and burned out bulbs. 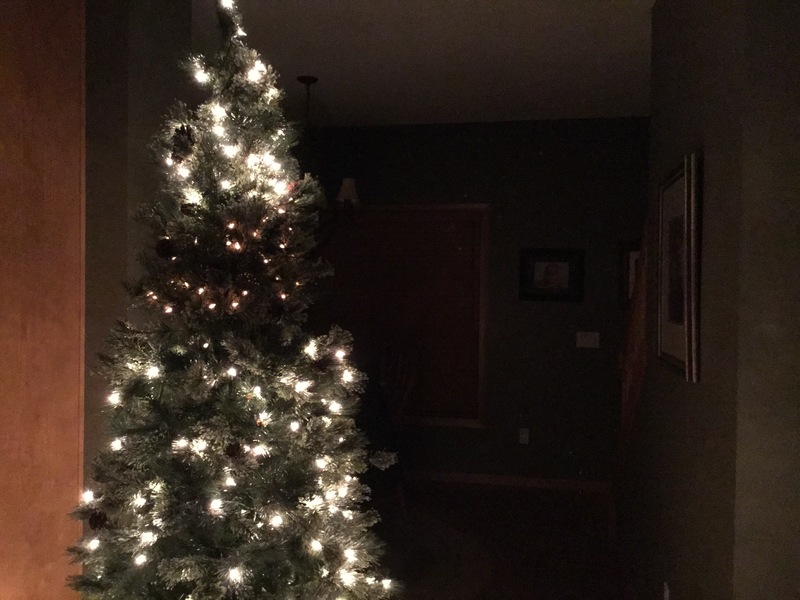 When all was said and done, I triumphantly summoned my wife to view the grand re-lighting of our Christmas tree. As I plugged each successive string of lights back into the socket I beamed with pride. It worked…all of the lights were back on. Then my wife pointed out a blaring discrepancy. The 50+ lights I had toiled to replace were completely different than the tree’s original bulbs. How could I have missed it?! I took a step back to confirm what she noticed immediately. I had been so immersed in the work of replacing an individual section of bulbs that I had isolated my focus on one section of the tree to the detriment of the whole. Many analogies could be drawn here, but I equate this experience to our educational system. It is critical that we work together and take time to connect and collaborate with stakeholders working in different states and capacities. The quality of education we provide each and every student is our collective responsibility. When educators connect kids win. A system-wide paradigm shift is desperately needed. The utility of an antiquated pedagogy and misguided assessment practices must also be reexamined. Yet for each school or state that is entrenched in the status quo, there are countless others committed to real change; high achievement, creativity, and connectivity for each and every student. It’s not about how brilliant any one classroom or school shines. Our students deserve a system that serves them well and illuminates the path to being #FutureReady. We can’t realize a paradigm shift working in isolation. Educators and school leaders MUST cultivate the characteristic of “connectivity” to help realize real change and relevance. Our kids are counting on us to tap into the brightest and most abundant resource available; each other. Call to action: Commit to cultivating skills for the digital age using digital tools to collaborate. Set-up a Twitter account and leverage it for professional learning. Reflect upon the degree to which you’re providing learning experiences for students congruent with the tools and technology they are exposed to outside of school. If you’re already serving as a “connected educator,” provide support to a friend that has not connected yet. There’s no other way for me to say this…being a Connected Educator has transformed my life and thinking. Using tools like Twitter and Voxer to collaborate with people across the planet has been one of the most exhilarating and humbling endeavors of my life. The energy and co-mingling between my Personal Learning Network (PLN) and colleagues at school helps me deliver a maximum impact for kids. 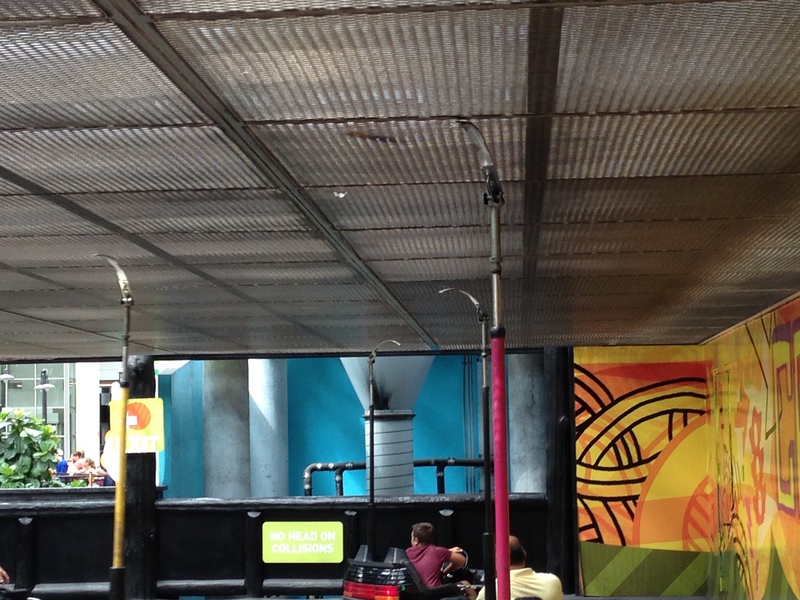 At a recent family trip to the Mall of America, I was struck by the obvious reliance a bumper car has on the network of metal grates in the ceiling; my PLN is like an unceasing and conductive ceiling constantly sparking my learning. The AMAZING staff and team we have at our school fuels a collective effort to make a difference for each and every child…together we’re able to handle the bumps and detours that are inherent in any innovative learning organization. Most bumper cars rely on a conductive floor AND ceiling (each with differing polarities). 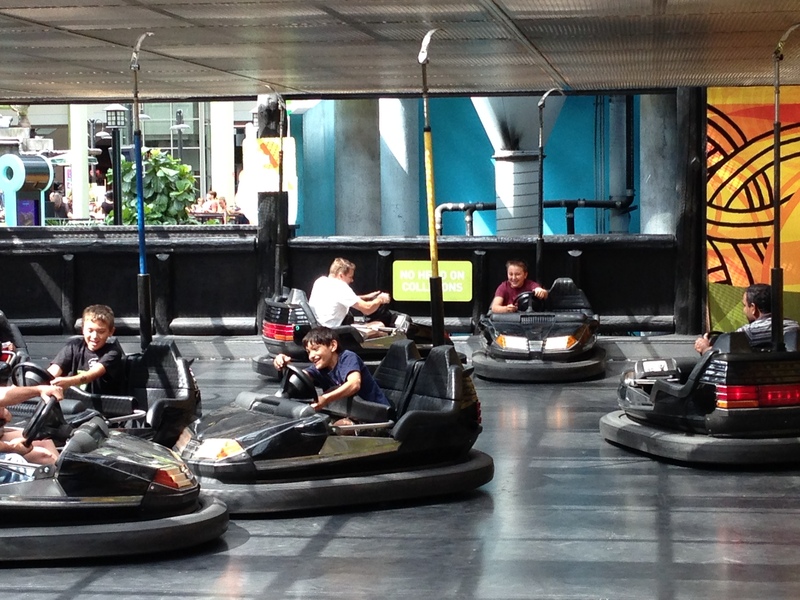 The pole at the top of a bumper car touches the ceiling, while the contacts on the floor complete a powerful circuit. The resulting connection is rather effective…and tons of fun! Where do you get your energy and “spark” from? How are you able to make a maximum impact for kids each day? How do you remain relevant? Who inspires you to collaborate and grow? We need to be constantly evolving and growing because our students’ world is changing. Our kids deserve relevant educators. There’s a world of collaborative educators out there willing to help…be sure to complete the circuit! I rely on my PLN to share innovative ideas about pedagogy and opportunities for students. 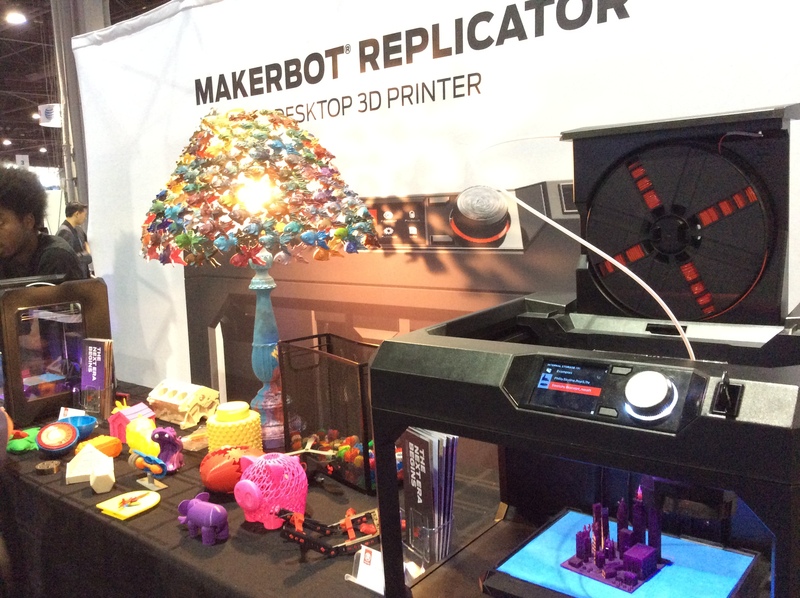 I took this photograph of a MakerBot while attending ISTE 2014. Being connected on Twitter, Voxer, etc. has been a powerful supplement to the relationships I cherish with the dedicated teachers in our school. In fact, the connections we’re cultivating that started out on Twitter have had a direct impact on our students. Our school has had a core group of teachers collaborating the past year on 21st century learning spaces to promote student engagement, creativity, and innovation. Staff have conducted site visits at other schools and met after school to collaborate on a regular basis. Their work has been inspiring, and I could go on for days about how phenomenal our team is. As part of our conversations we have discussed bringing a MakerSpace to our school. The purpose of these conversations and a potential MakerSpace has been centered on cultivating an ethos of student learning made possible through passion-based learning, experimentation, creation, risk-taking, failure, and design iteration. I learned about the MakerSpace concept via my Personal Learning Network (PLN). My connections on Twitter equipped me with additional research on MakerSpaces and 3D printers to contribute to the conversations. Drew Minock, a friend in my PLN that I met via Twitter, took time to explain how he wrote a DonorsChoose.org grant for a 3D printer in his classroom. We spoke a couple times via the telephone until I was ready to work with teachers interested in writing a grant in our school. We submitted a grant and our project is now fully-funded! Members of my PLN helped spread the word and retweeted project information. We even had several people that I only know through Twitter donate to our students. The process has been humbling! Twitter has been a game-changing tool that empowers educators to forge supportive, student-centered relationships with one another from anywhere on the planet. Twitter was the primary tool I used to connect to research about MakerSpaces and 3D printers. Twitter was how I learned about DonorsChoose.org. Twitter connected me to caring parents and educators across the country that also wanted to support students and our 3D printer project. However, this story isn’t really about Twitter; it’s about what some of these connections will mean for our students. When school starts this fall, our students will have an unbelievable opportunity to innovate using cutting-edge technology. Together we are better for kids, and our students are the ultimate winners when educators collaborate within and across classrooms, schools, and states! Our MakerSpace project would not have been possible without an AMAZING team of educators at Greenwood Elementary…and the positive power of PLN. What do you get when you combine summer learning with Augmented Reality and the positive power of Social Media?! The answer is pure awesomeness…and students EVERYWHERE are welcome to join the fun. After students view the surprise augmented reality (AR) video they can begin creating their projects. Projects can use any art supplies that parents approve of, but should highlight positive character traits like caring and citizenship. Posters might include pictures of service-learning projects, cool graphics, or important quotes. So…bust out your markers, glue, and glitter and start creating! After your child’s Character Poster is completed you can share it using our school’s hashtag. Students love the chance to share their work with an authentic audience! Take a photo of your child’s poster and Tweet it to me @GustafsonBrad then add #GWgreats to the message. This project is a fun way for kids to connect to a common project and make a difference over the summer. We’re so proud of all our students do…and we can’t wait to see the creative work that is shared. A car has one windshield and when it becomes foggy the driver’s response is obvious. The windshield of today’s school leader is not so unidimensional. 21st century school leaders are charged with leading complex change and in doing so they must serve with multiple windshields, or lenses. Traditional lenses have included instructional leadership, culture, and community partnership. We must embrace an additional lens; our students are counting on us to provide digital leadership! A digital leadership lens requires each of us to see the road with a new set of eyes. Nearly every situation we encounter should be considered with this new perspective. The reality is that our students find themselves in a connected world with limitless potential. And still, we have barely scratched the surface of how this translates to 21st century pedagogy. It is a moral imperative that we model the vision and skills necessary to help students prepare for their future. By embracing tools and technologies that are ubiquitous to students outside of school we add relevancy to the educational experience. This is precisely where the Digital Leadership Challenge can help! There are eleven challenges listed below for you to try. Each challenge was designed by a connected-educator in the United States. Submitters do not espouse to be experts in any area, and instead embrace their roles as learners. Challenges are based upon the pillars from Eric Sheninger’s impactful book, Digital Leadership. Educators that participate in the Digital Leadership Challenge will be eligible for an electronic badge based upon the points accrued over the next 12 months. 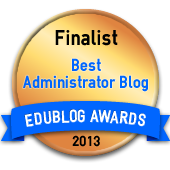 This badge could be displayed on a school website, Twitter account, blog, or referenced on a professional vitae. Most importantly, your efforts will directly enhance our students’ learning experience. The journey of 1,000 miles starts today and you are in the driver’s seat. Best of all…you’ve got a myriad of collaborative colleagues sitting “shot-gun” and we’re eager to help. You can track your progress by adding your name to a shared document. Click HERE to access the shared document. Share this link and invite other educators to take the challenge! 1 “Badge” Point: Create a professional Twitter account and follow each of the eleven challenge submitters from this article. Observe how they collaborate with their personal learning network (PLN). 2 “Badge” Points: Create a separate school Twitter account strictly for school Tweets. Post one Tweet about your school each week for an entire year. Share pictures and insights about the amazing work being done in your classroom or school. 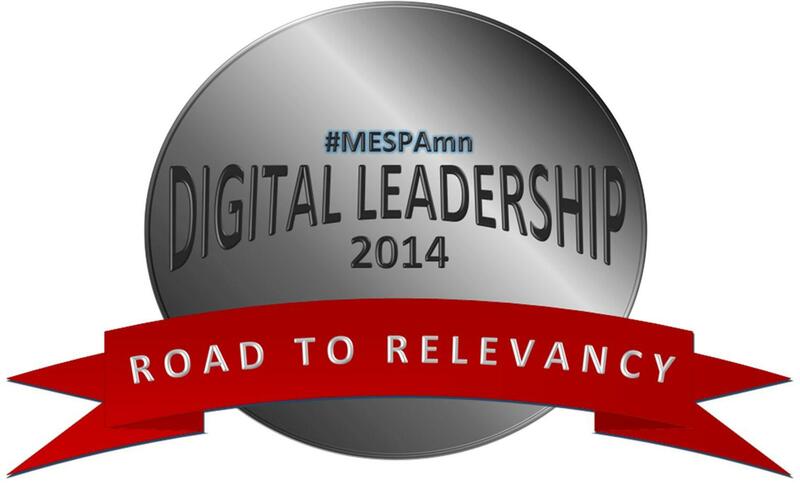 3 “Badge” Points: Participate in MESPA’s real-time Twitter chat on May 16, 2014 from 2:00 – 3:00 p.m. The chat will be co-moderated by Commissioner of Education, Dr. Brenda Cassellius. Please use the #MESPAmn hashtag to join the conversation. We’ll be following a Q & A format, and all educators are welcome. 1 “Badge” Point: Subscribe to an educational podcast. There are many platforms to do this, but iTunes, Pod-o-matic, and Stitcher are the most popular. I recommend these fine podcasts: EduAllstars, PrincipalCast, and Techlandia. 2 “Badge” Points: Share a podcast you enjoy with your colleagues. Find an interesting episode and then tell your staff what you learned. Model continuous learning by letting them know what you listen to in the car or as you run. 3 “Badge” Points: Record your own podcast or videocast for your school community. It doesn’t need a lot of time or production. Take your school newsletter and simply record yourself talking about upcoming events. Audioboo makes it easy to record, upload, and share your voice. YouTube Capture or TouchCast are all you need to send a video to your YouTube channel. 1 “Badge” Point: Establish a Facebook page for your school. Create one Facebook post each week describing student learning in action…and be sure to include photographs! 3 “Badge” Points: Link your classroom or school’s Facebook page to your school Twitter account using Facebook’s setting options. This will be a huge time saver and it will offer parents a window into your school. 1 “Badge” Point: Start a UStream account at www.ustream.tv and explore how the site works. Read this post or this post to get ideas about what types of school events you might broadcast. 2 “Badge” Points: Use your new UStream account to broadcast a school event. Set up the channel ahead of time and add a description. Advertise that the event will be broadcasted and provide your channel’s URL so parents know how to tune in. 3 “Badge” Points: Make broadcasting a regular school routine. For example, if you want to increase engagement at PTO meetings, create a school PTO channel that will always broadcast the meetings. Then advertise this. Share this as a tool for teachers to try with their classrooms to engage parents for special events like Readers Theater or other classroom activities. 1 “Badge” Point: A twitter account is a wonderful way to tell your school’s story. Create a school or district hashtag and incorporate it into your school tweets. For example, every tweet Tony sends out about his school includes #Cantiague and when Joe tweets about his district he includes #GoCrickets! Tweet pictures of WHAT is happening in your space and explain the HOW and WHY too. 2 “Badge” Points: Encourage at least four (4) colleagues to join Twitter to tell the story of their students’ learning. It is imperative that the same hashtag is used throughout your organization to ensure that the brand is understood. When more than one member of the staff begins tweeting the WHATs, HOWs and WHYs of your organization, it becomes clear to the community that the brand promise matches the brand experience. 3 “Badge” Points: Provide at least one (1) new way to amplify your students’ voices so they can tell the story of their classroom or school. By doing so we are promoting critical thinking and communication skills while laying the foundation for students who will be college and career ready. Tony started doing video updates using the Touchcast app at #Cantiague. Students from each class are spotlighted every week. Give your students the microphone (or other communication tools) because they are the ones living the WHATs, HOWs, and WHYs of your learning organization. The goal of school branding is making everything about kids; that’s the perfect bumper sticker! 1 “Badge” Point: Use TodaysMeet to create an engaging back-channel (real-time online conversation alongside a primary lesson, training, or event) in a class or at a staff meeting. Allow students/staff to post questions during a presentation or text-based discussion. Use the archive of the back-channel to assess learning and plan next steps. 2 “Badge” Points: Use at least three (3) monthly staff meetings as a platform for students and staff to share practical ways they integrate web 2.0 tools in the classroom to amplify student voice and increase engagement. Sample web 2.0 tools include Glogster, Edmodo, YouTube, Twitter, Skype, Polleverywhere.com, Socrative, and Facebook. 3 “Badge” Points: Use a current multimedia class or create a club to develop four (4) or more student-centered videos or Public Service Announcements (PSAs) that highlight learning experiences at your school. Post them to a school YouTube channel and share the link on your school Twitter and/or Facebook page. Collaborate with a teacher who is passionate about multimedia to guide the student group. Here’s an example! 1 “Badge” Point: Your class can use Skype or Google Hangout to connect locally with another class somewhere else in your state. Research information about classroom Mystery Skypes to learn about one engaging option. 2 “Badge” Points: Have your students work collaboratively online to create a cross-state project with students from another class in the United States. Use Google Docs, Skype, or any online tool. 3 “Badge” Points: Use a social media site to reach out to classrooms around the world. Share your learning and build opportunities for your students to collaborate. Start a classroom Twitter account, Google+, or another social media site. 1 “Badge” Point: Create a professional blog site using a blogging tool like Blogger, WordPress or Weebly. Write your first post about what you hope to gain through blogging. Share your first post using a social media tool like Twitter. 2 “Badge” Points: Publish one (1) blog post per week for a month. Share reflections about the process, success and failures in your classroom or school. Share each of these posts using a social media tool like Twitter. 3 “Badge” Points: Connect with blogs written by other educators. Write six (6) blog postings reflecting on other educators’ posts. Be sure to leave a comment in the original authors’ comment sections listing the URL to your related blog reflection/response. Share each of these posts using a social media tool like Twitter. 1 “Badge” Point: Join #ArkEdChat (Thursdays at 8:00 p.m. CST) or another great Educational Twitter Chat. Participate in online, on-demand, professional learning with educators across the globe through social media. 2 “Badge” Points: Participate in an Educational Twitter Chat three (3) weeks in a row; consistency will help build a PLN and give you an understanding of what to expect from the chat’s moderators. Then, introduce two colleagues or “edufriends” to the world of online Twitter Chats for Professional Development. 3 “Badge” Points: Administrators: Formulate a plan allowing your teachers to use Educational Twitter Chats for Professional Development; e.g. credit for participation in existing chats or use of stand-alone chats within your school/district. Teachers: Bring an Administrator who has never participated in this type of Social Media Professional Development to an Educational Twitter Chat like #ArkEdChat (Thursdays at 8:00 p.m. CST). 1 “Badge” Point: Read the book Invent to Learn by Sylvia Libow Martinez & Gary Stager. Then, explore the inventolearn.com website. 3 “Badge” Points: With the help of the Makerspace Playbook, and the resources above, identify a space in your school that could be used as a Makerspace, and develop a plan to make it happen! Suggested areas to add Makerspaces include computer labs, Media Centers, empty classrooms, or multi-use areas. 1 “Badge” Point: Leverage your social media connections to form at least one (1) strategic partnership that benefits your school (i.e. pilot Edtech program, unique professional development opportunity, guest speaker, authentic learning experience, donation, etc.). 2 “Badge” Points: Form at least two (2) strategic partnerships and write a school Twitter or Facebook post sharing the benefit to your school. 3 “Badge” Points: Form at least three strategic partnerships and present at a local, state, or national conference on school initiatives. 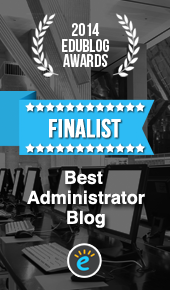 Write a blog post, media release, or website entry sharing the benefit to your school. 15-29 points earn the Gearing Up Badge: Awarded to Digital Leaders for their collaborative efforts. 30-49 points earn the Road to Relevancy Badge: Awarded to Digital Leaders for outstanding efforts in collaboration and connectivity. 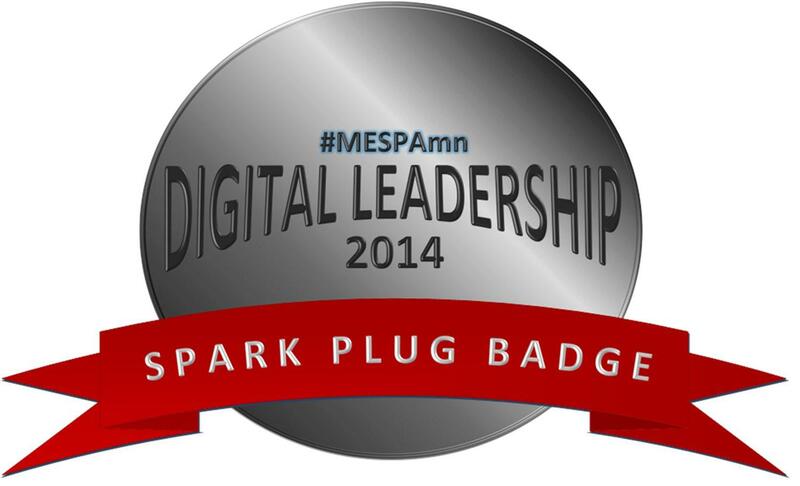 50-66 points earn the Spark Plug Badge: Awarded to Digital Leaders demonstrating innovation & exemplary 21st century practice while serving as agents of change. Reprinted with permission from MESPA. Click HERE to view the original article published in May, 2014.